SEO Checlist - Learn How to do your own SEO Health Check. If your website isn’t even ‘set up’ correctly, no matter how much content you share, no matter how much social media promotions you run, your “SEO” isn’t going to takeoff and bring you the traffic you want! Tell me something: are you struggling to get the results that you want in the search engines? Chances are, you are because with only 10 major places there on the first page and only three or four that get the results we want, not everyone can be there. Well, here’s a quick list of simple things that you can do. An SEO checkup, if you like. Like taking the car and getting it serviced. You can do these on your own website quickly and easily to find out if you’re making any of the major errors that most people do make when it comes to SEO. Number one is do you have your primary targeted key word phrase in your meta title tag, not just for your home page but for all of the major pages on your website that you want to be having found in the search engines? This is a key ingredient. Number two is the call to action in your meta description. A lot of people, when they’re doing SEO, will simply put together their title, put together their description and pack these things in with as many keywords as they possibly can. No! Not anymore. Instead, what you should be doing is targeting your keywords in your meta title and having a good meta description, which is about the customer and the benefits, and then a call to action so they click on that link and come through to your website. You can use semantic text, other related keyword phrases in your meta description but don’t just blandly repeat your primary keywords, those target phrases, again, and again, and again. Identify those pages and then ask yourself this question: what kind of content have they got on them? How much content, more importantly. I’d like to suggest that they have at least 800 to 900 words, not just 300, not just a snapshot paragraph, but some nice images and, I guess, a page and a half of good, solid content about the product, about the service. That makes it valuable to readers and then it gets them to do something at the end. That’s not an SEO point of view, that’s sales copy. There has to be a call to action at the end. From an SEO point of view, it’s the value of the content. Eight hundred to 900 words with some nice images in there, of course, all optimized for SEO to get the best possible results. Edit: We now recomend 1200 + words. Now, what I’d also like you to do with, not just those pages but other primary pages on your website, perhaps in the shop, the home page, certainly, your primary conversion pages, have a look and see if they appear in the Google cache. This is number four. Simply to look at how your site is coming out in Google cache, you simply put “cache:” and then your domain name. And then over there on the right-hand side you will see text-only version. 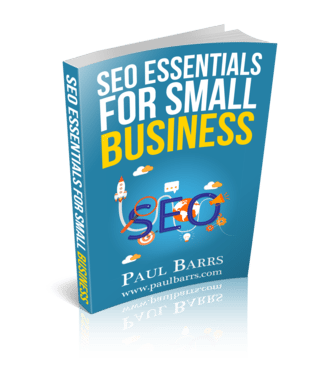 Click on that and have a look and see how that page is appearing from an SEO point of view. Look at the words. Look at the links. Look at the balance between them. You can do this for any page on your website. Number five. I’d like you to have a look simply at your domain name. Does it have something immediately afterword such as yourdomain.com/pages and then all the content appears, or yourdomain.com/content and then everything appears? Or is it just your domain and that? You don’t want everything hidden behind another sub-directory following there. Also, the WWW’s, number six. Do you have a redirect on the WWWs or do you simply just have nothing. If someone goes and types in yourdomainname.com, will it redirect to just the http? That’s good. That’s exactly what you do want. You don’t want two versions of the site. Number seven. Check that you have a robots.txt file. Just put in yourdomain.com, whatever it is, /robots.txt and have a look and see what it says. Do some search online if you’re not quite sure what that’s for or how it can be effectively used for SEO. And finally, number eight, an XML site map that has been submitted to Google web master tools (Search Console). These are my top point for a quick SEO checkup, a health check on your website. I hope you found this interesting and you go and do them. There’s the list. Get to it. Get started today. My name is Paul Barrs from paulbarrs.com. I’ll talk to you soon. Bye-bye. Don’t you just love how they start lawn mowing as soon as I start talking? Oh well, hopefully they come out all right. Post Note: This month I’m making a special offer to Australian business owners to do a complete SEO health check (as per the list above) for just $75. Contact Me for more information.